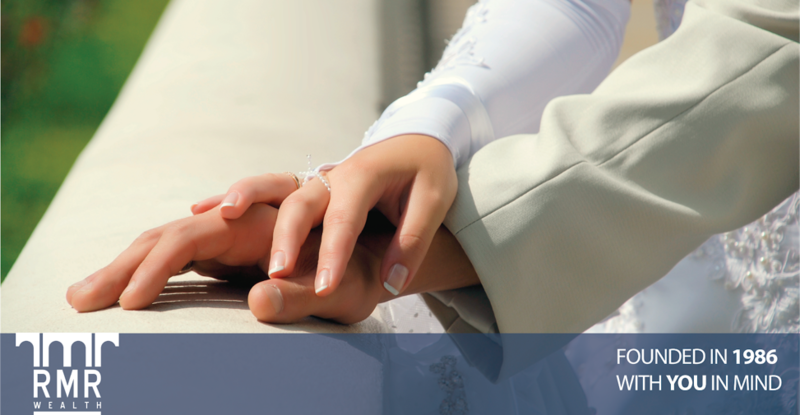 Saying 'I Do' to a Financial Plan: Financial Changes to Expect After Marriage | RMR Wealth Builders, Inc.
Saying "I do" marks the start of your new life as part of a married couple. But after the hustle and bustle of planning your wedding and honeymoon have faded, you may be left with some questions—and concerns—about combining finances with your new spouse. What will happen if your spouse's credit score is much higher (or lower) than yours? Will you be responsible for your spouse's debt? What does joining finances really involve? Learn more about the financial pros and cons of marriage and how to ease the transition from a solo budget to shared finances. HOW SHOULD YOU GO ABOUT COMBINING FINANCES WITH YOUR SPOUSE? In an ideal world, you’ll have some deep financial discussions with your soon-to-be spouse before getting married—or, at the very least, will have spent enough time together to have a pretty good idea of each other’s spending and saving habits. But if you haven’t yet had this conversation, it should take priority over everything else. Money is one of the biggest recurring arguments for many couples, and avoiding the topic won’t do much to avoid future conflict. 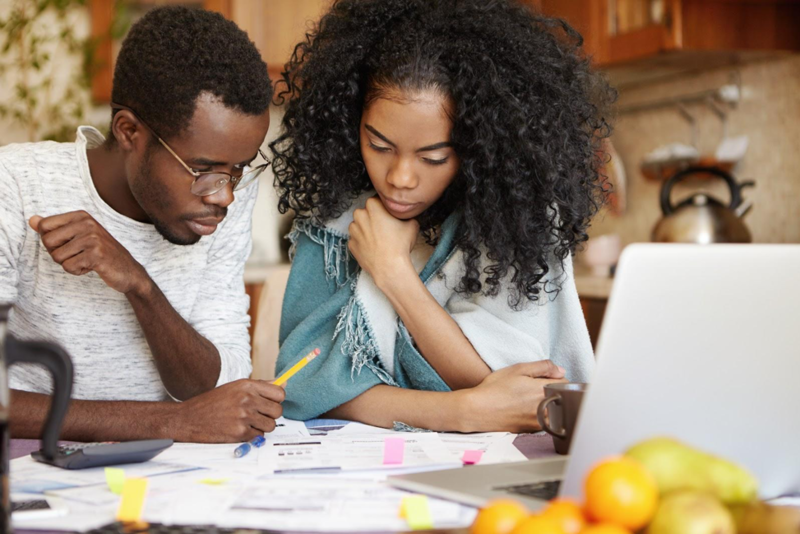 Knowing exactly what assets (and debts) your partner is bringing into the marriage, and being open about your own, can give you a starting point toward paying off high-interest debts, saving for retirement, or starting a new house fund. Whether you decide to combine everything into a joint account, pay your own way by dividing household bills or opt for the “yours, mine, ours” approach, knowing your financial starting point gives you the information you need to make the best decision. It’s also important to make sure both you and your spouse are on the same page with regard to making sure bills are paid. Even if one of you prefers to take a hands-off approach and let your partner manage the household finances, doing so could leave you in the dark—you may not realize you’re having financial problems until you begin receiving past-due notices in the mail. And if the spouse who handles the money takes ill, it could take you some time to get up to speed on what bills need to be paid. At the very least, you and your spouse should have monthly budget meetings. These meetings can be as quick and casual as you’d like, and may just involve perusing a budget spreadsheet to make sure you’re still on track with your goals. Other times, you may want to discuss some upcoming big-ticket purchases, like a new car or house. In either event, this transparency and open communication with regard to finances isincredibly important to any marriage. WHAT ABOUT YOUR OTHER ACCOUNTS? It’s important to note that, after you’ve gotten married, if you have any accounts that have named beneficiaries—like life insurance policies, 401(k)s, IRAs, Health Savings Accounts, and others—that you take the time to manually update the beneficiary information to include your new spouse’s name. Because many of these accounts are payable upon death (instead of going through probate), the custodian will transfer the account to the named beneficiary directly. This can cause serious problems if you had intended these accounts to go to your spouse instead. And in other cases, certain accounts automatically assume your new spouse is the primary beneficiary; to change this, your spouse will need to notarize a document affirming they’re giving up this right. If you have a non-spouse family member listed as beneficiary but your spouse hasn’t submitted the paperwork to waive his or her rights to receive the account’s proceeds, your untimely death could create quite a legal mess. This is equally important if you’re embarking on your second marriage and have children from a prior marriage. If you’re not careful, you could inadvertently disinherit your children by leaving your entire estate to your new spouse. If you’re about to create a blended family, you’ll want to seek guidance from an attorney with experience in estate and family law. And if you don’t already have a will, power of attorney, and medical directives in place, getting these in order after you’ve gotten married can put you on a good path. These important legal documents can cover any assets that aren’t payable on death and don’t have a listed beneficiary, like checking and savings accounts or your home, and will prevent your spouse from having to gather and account for marital assets while he or she is still grieving. Although you may notice a slight fluctuation in your credit score post-marriage, any changes should have next to nothing to do with your spouse's score—instead, they're likely due to the normal up-and-down pattern that can come from changing your credit card utilization rates, taking out a loan, or adding another couple of months to the age of your credit history. Because your credit score is based on your Social Security number (SSN), getting married won't do anything to change this calculation or somehow combine your scores. If you change your last name after marriage, doing so won't erase your credit history, but will add your former last name to your credit report as an "alias." WHAT DOES GETTING MARRIED DO TO YOUR CREDIT? Although your credit score won't combine with your spouse's score when you say "I do," it is possible for your credit to impact your spouse's (and vice versa). This usually happens when one of you adds your name to a debt that's in the other's name or takes out a joint debt. 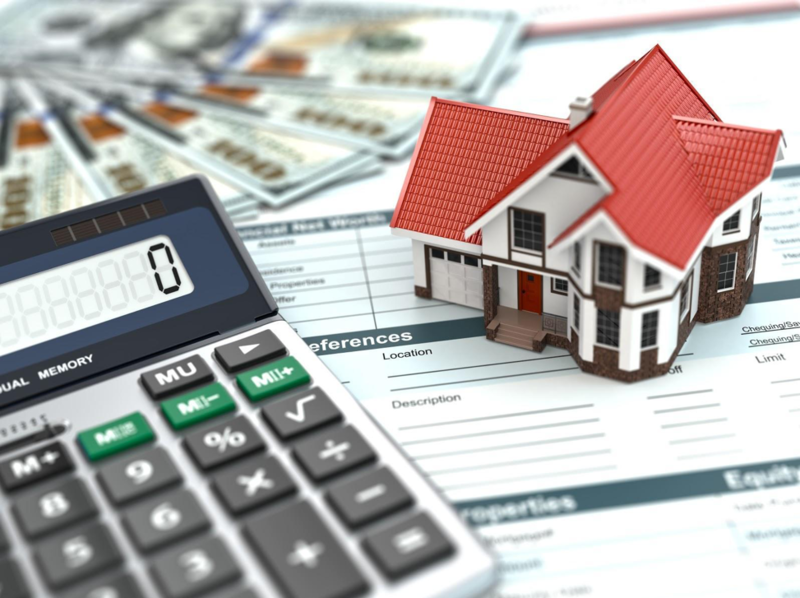 And if you attempt to jointly take out a large loan (like a mortgage), your interest rate will be calculated on both credit scores—which means, if there's a major disparity between your score and your spouse's, you could be offered much higher interest rates than one of you might be able to get on your own. Locking in a high mortgage interest rate for 30 years could add tens or even hundreds of thousands of dollars to your total repayment. You may want to investigate taking out a mortgage in only one name, refinancing your loan after the lower credit score improves on its own, or working to improve the lower credit score before you purchase a house. The extent to which getting married will impact your student loan repayment process depends on the type of loan and how you've been making payments. For those withfederal loans who have taken advantage of income-based repayment plans, adding another person (and income) to the household can cause these payments to increase—in some cases, even increasing the payment enough to match the standard repayment schedule. On the other hand, if you've already been using the standard repayment schedule, your payment is unlikely to change. And unless your spouse has been added as a cosigner on any private student loans or you live in certain community property states, these loans will die with you—that is, your spouse shouldn't be required to continue making payments after your death. If you're repaying student loans on something other than the standard repayment schedule, getting married could increase your payment. Because getting married can double your wealth-building opportunities, it's important to get a strong start on this process by partnering with a wealth management firm like RMR Wealth Builders. Visit our website to request an appointment or email us directly at [email protected] today.